We provide clean facilities in a very peaceful central location in Rotorua. 5 minutes walking distance to a private hot water lake beach, 15 minutes walking to city restaurants bypassing the beautiful Ohimemutu Maori village. We have a thermal reserve on our boundary, trout fishing in the stream and wildlife which visit us in the park. Natural pure mineral hot water pools to relax in on site. 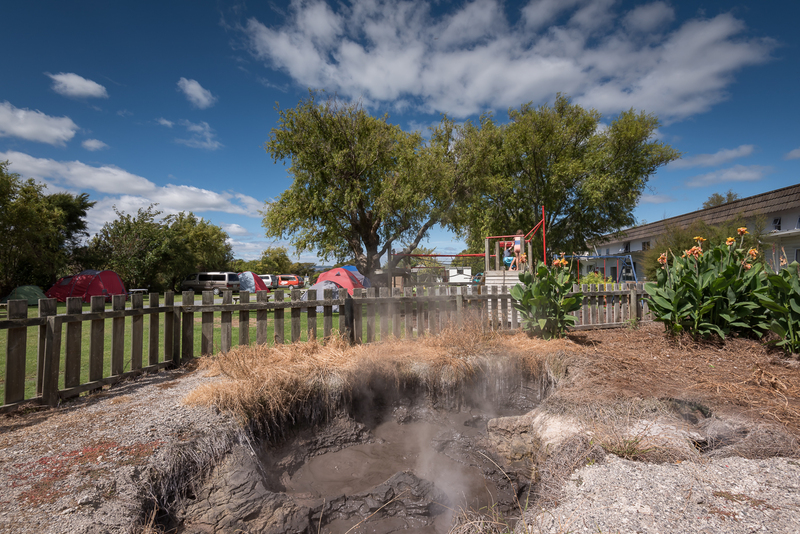 Rotorua is a vibrant city winning the most beautiful city in New Zealand award 5 times.